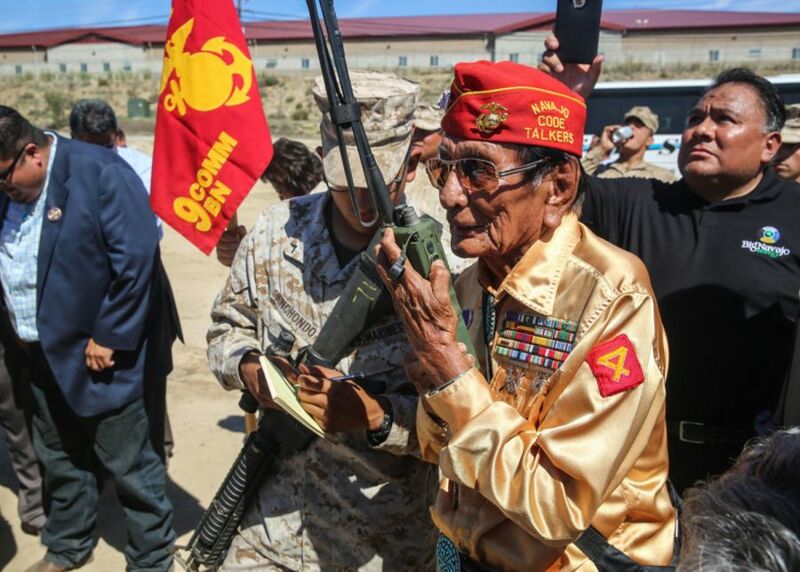 Samuel Tom Holiday, one of the longest surviving Navajo Code Talkers from World War II, has died, just days after celebrating his 94th birthday. The US Marine Corps confirmed the news, saying Holiday died Monday. Holiday joined the Corps in 1943 at 19. 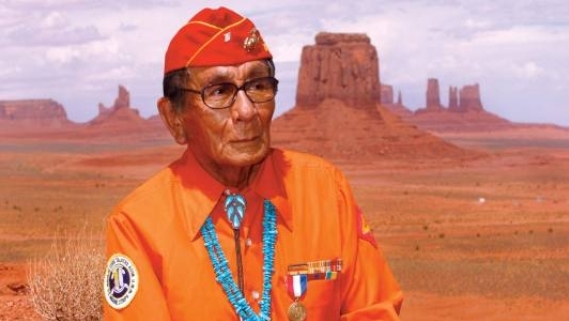 After that, he served in World War II until 1945, becoming part of a special unit that used the Navajo language to communicate secret messages about troops, tactics and other orders. The code the team created was indecipherable to the enemy and a key factor in the American military victories at Iwo Jima, Saipan, and several other major battles in the Pacific theater. The unit of Navajo code talkers started with a group of 29 recruits, but by the end of the war, there were more than 400 members. The last of the initial 29 code talkers, Chester Nez, died in 2014 at age 93. 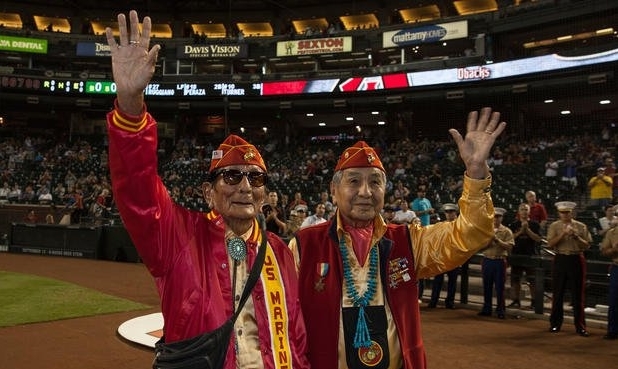 Navajo leaders believe there are fewer than 10 code talkers still alive, but because the program was classified for so many years after the war, an exact tally is unknown. The idea to use a Native American language as a code was not new. The US military had used the Choctaw language during World War I as part of its secret code, but Germany and Japan had worked to learn Choctaw and other Native American languages during the interwar period, the CIA said. But the Navajo language's syntax and linguistics are particularly tricky for non-Navajo, and it is not written. So the Marines began recruiting and training them in 1942. After the war, Holiday returned to the Navajo Reservation. In 1982, President Ronald Reagan awarded Holiday and the other code talkers with a Certificate of Recognition and declared August 14 "Navajo Code Talkers Day." Holiday later became a well-known face in the St. George area. 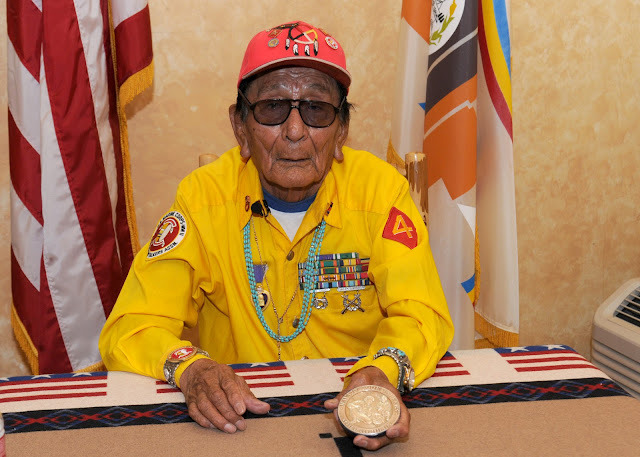 He wrote a book about his experiences, attended veterans events, spoke to kids and taught others about the role code talkers played in the war, according to the St. George (Utah) Spectrum newspaper. Holiday will be buried next to his wife at the Navajo Reservation in Kayenta, Arizona. Responses to "WWII Navajo Code Talker Samuel Tom Holiday Walks On at Age 94"